Caribbean people dedicated to their continued cultural survival. a part of Jamaican life, that to be dismissive of someone was to say, "Cho, man! 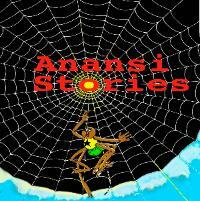 You just telling a Anansi story". were small, we could use our brains to solve any problem." his major to design at the university's College of Fine Arts. 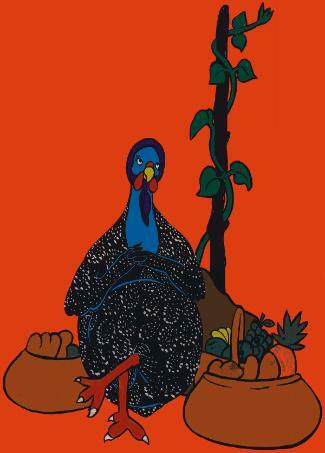 in "Anansi and the Yam Hills". Great Sky God. From then on all stories belong to Anansi. school level to teach his students about character development. given Michael's works critical acclaim. 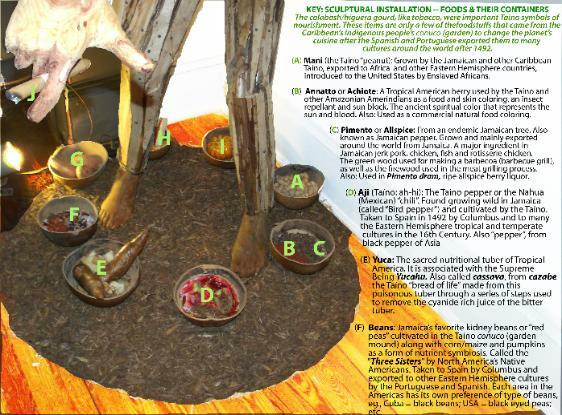 that have continued to influence world cultures since 1492. 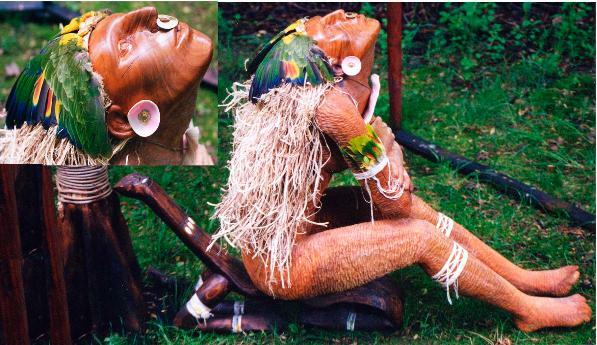 (Above) Anacaona, seated on a dujo, 2003, installation. vines, parrot feathers, cotton, Jamaican conch shell and gold leaf. abalone shell, adorned with cotton. (Insert) Detail of Anacaona's head. 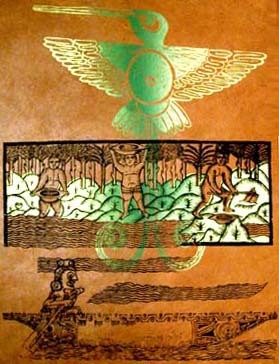 (Left) Guahayona and His Travel To Guanin, 2003. Materials: Silk screen on hand-made paper. their quest for Amazons and gold in the Americas. 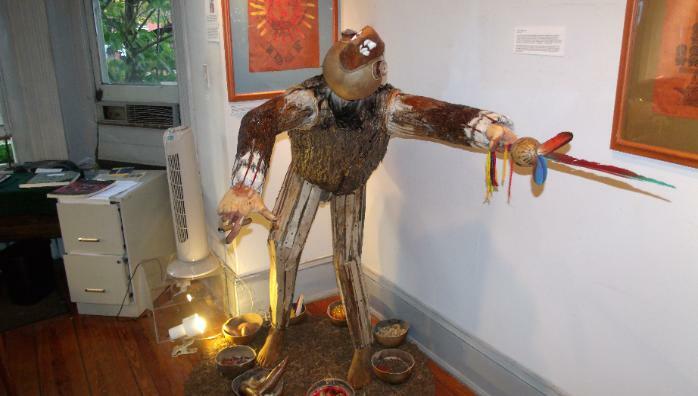 Michael is an avid Anansi storyteller, teacher and a lecturer. 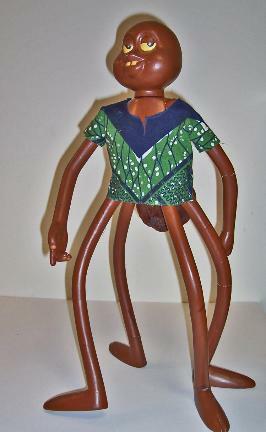 Send him your interpretation of Anansi the Spider-Man. From Michael Auld's "Anansi and the Yam Hills". before America's War of Independence.